Bachelor of Arts (Honours) in Hindi. Bachelor of Arts with at least 45% (40% for SC/ST) marks in the subject of Hindi/Sanskrit/Functional Hindi. 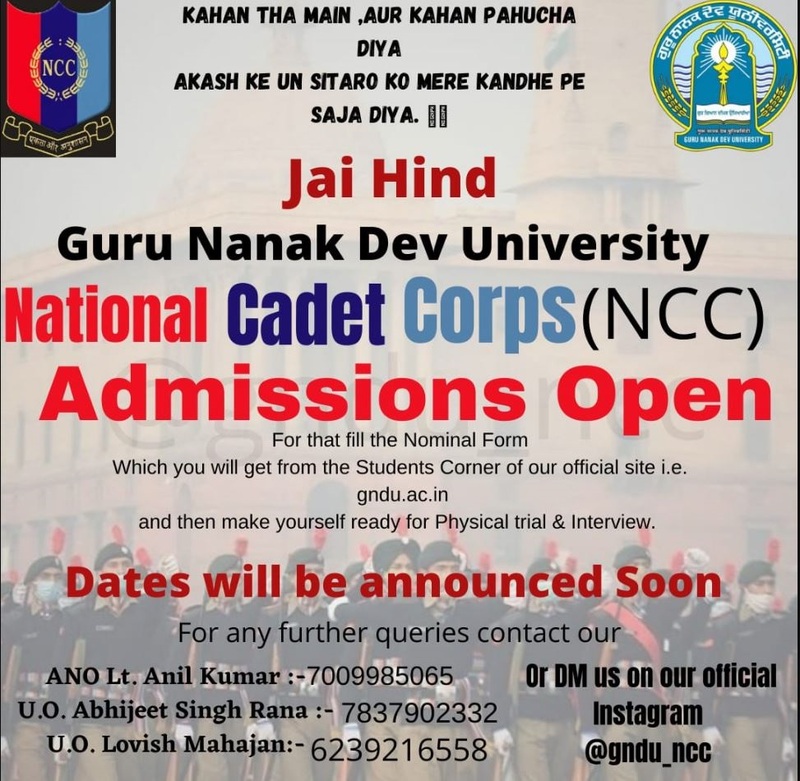 Master's degree with at least 55% marks (6.18 CGPA out of 10) or (50% marks or 5.62 CGPA out of 10, forSC/ST candidates) of Guru Nanak Dev Univesity or an equivalent degree of recognized Indian or foreign University in the subject concerned or allied subject.